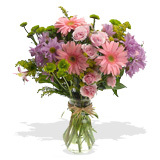 $39 - $50 BEST SELLER Flowers Whether you would like to decorate your own home or present someone with a charming bouquet of flowers, you can't go wrong with our best selling roses, or even a stunning tulip flower bouquet. We understand that everyone has different budgets and for this reason we have many different price points to suit every pocket. Rose flowers are not only a florist favorite, they are a consumer favorite as well. For this reason we feature them in this special price category. Which includes various stylishly arranged bouquet of a dozen roses in every color. Most Popular Flowers by Flower Type: All flowers in nature are beautiful, but differ in the popularity they enjoy. Some flowers such as roses are a universal favorite all over the world. We feature a variety of our most popular flower bouquets and flower arrangements in our bestseller section that include our customers favorite FlowerFresh floral creations. The best seller flower section is always a good place to start if you are not sure what flower bouquet you want to pick as the perfect floral gift. It might also be useful for you to know the top ten most popular flowers in the US, they are in order of popularity, Rose, Chrysanthemum, Tulip, Lily, Carnation, Gerbera, Freesia Cymbidium, Alstroemeria, Gypsophilia. Hopefully this will help guide your decision to choose the perfect floral gift for that special someone.